As you might have already gathered, it has been quite a take taking my mind off the BWC 2016. 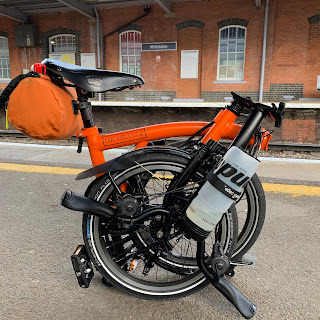 When I got home from work I decided to put all thoughts of this to one side and started to list all the uses I have for my beloved Orange Brompton bicycles. What!!!! I was going so well. I stared at the page and instantly thought that Freud was on to something. I had written the word racing and we know what that means! I am normally the most optimistic of people but I am beginning to think I am beyond all hope!! ?